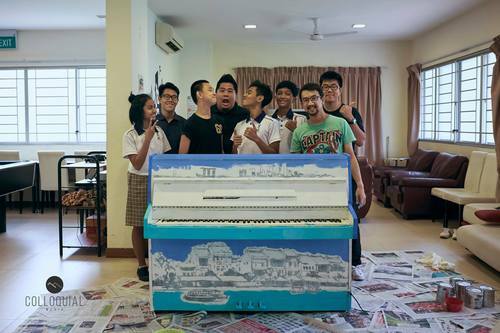 The ‘skyline’ piano, decorated by Students Care Service with Marvin Chew was originally in this location, but this has now been replaced with a piano donated by The Fontanella (and cat) Family and decorated by T:zi Artistic in collaboration with Bright Hill Evergreen Home. 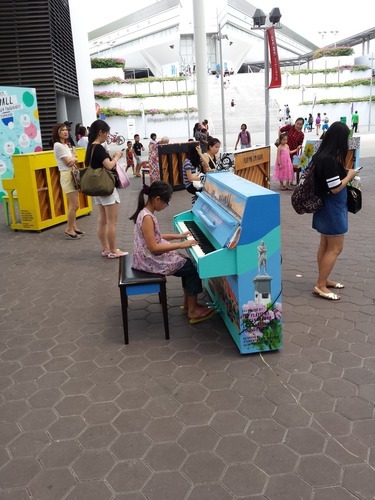 It’s available to play 24/7 and the nearest MRT is Buona Vista. PARADISE ft Coldplay's Chris Martin. 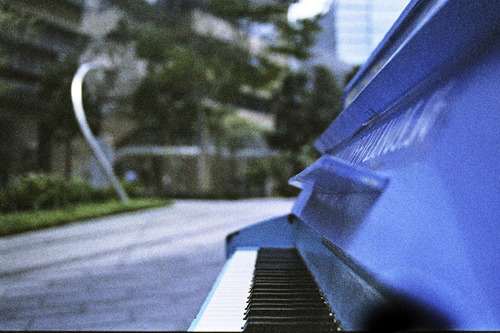 This is the piano now in this location. What a delight, such a thrill! Thanks for installing this meaningful, beautiful work of art. The piano fits perfectly in this space! 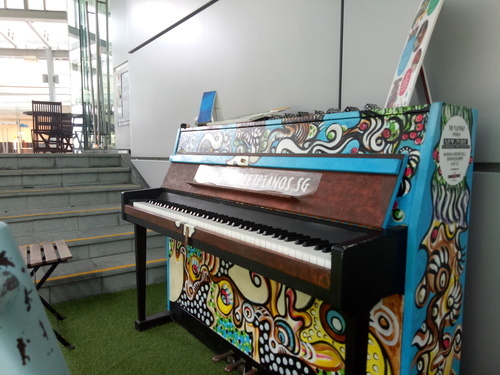 After speaking to the main artist (Marvin) who created this piano - during the opening event on Sunday - I was glad to find it back in an inspirational environment. 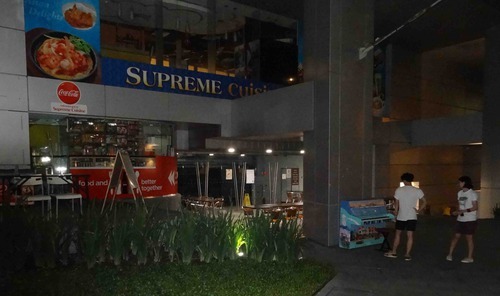 Students, business pleople, all his organization would wish for their target group of Singapore youngsters at risk. May this initiative be a support to them in in becoming great adults, may Marvin's creativity be an inspiration to them. Thanks for all the good work guys! 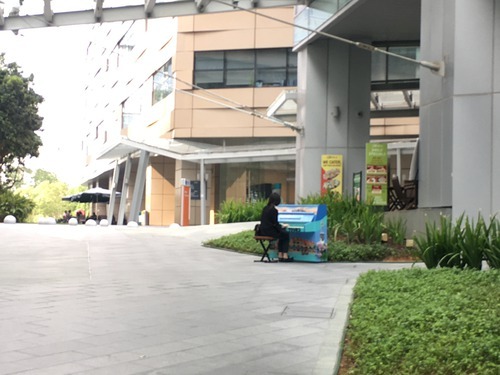 The Singapore Piano! 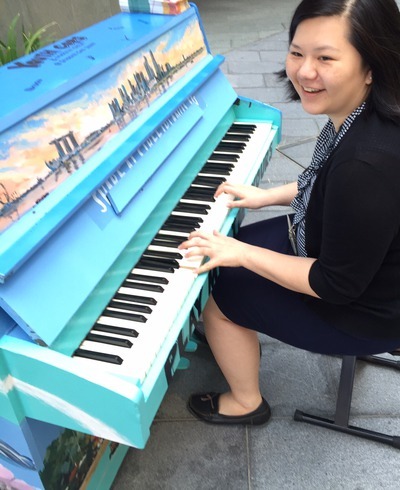 Isn't this amazing - archiving our skyline and nation on a piano. What a brilliant idea and what a different canvas! By Marvin Chew together with Students Care Service. PM Lee, are you seeing this?? It's a wrap for the first of 3 sessions of piano-painting with legendary watercolourist Marvin Chew (Art of Marvin Chew)! 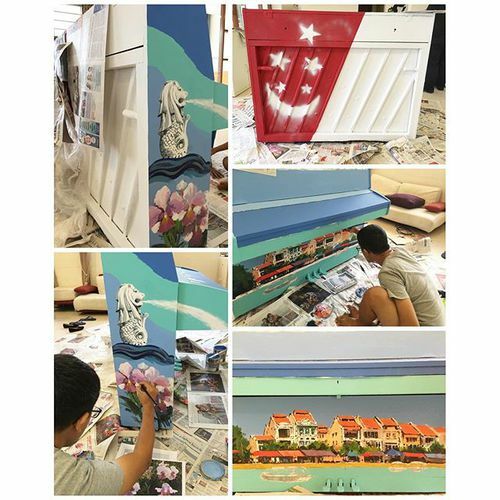 Colloquial Media is covering one of the 25 teams who are decorating their own sets of piano. 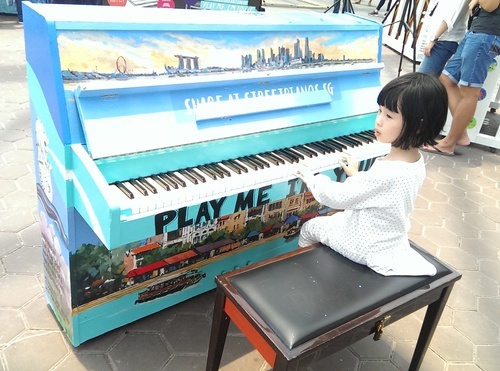 From London (2009) to New York (2010) to Paris (2015), Play Me, I'm Yours - International home page has finally reached the Singapore shore. 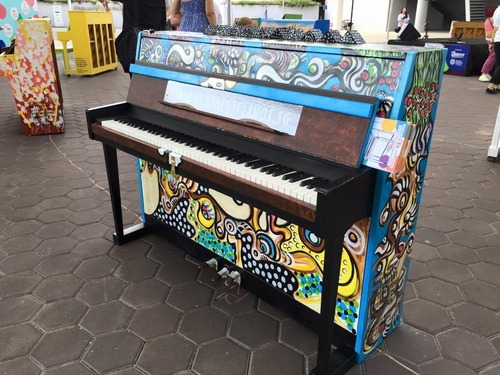 Come March 2016, 25 painted pianos will be placed in public spaces across the island for the public to enjoy.